Please now go to the above link to support Seraph. Gofundme can no longer collect donations for us. We have moved to become part of a registered charity, and continue to raise funds for Seraph's treatment. Seraph is a very cheeky little monkey- As many four year olds are. He likes dinosaurs, Lego, Minecraft, and giggling like an idiot. Most of all though, he loves his big brother, Logan. 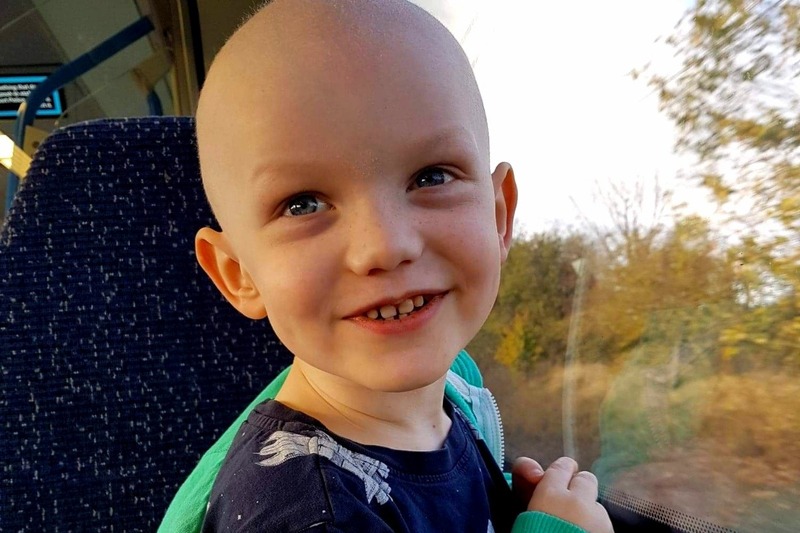 Seraph also has High Risk Neuroblastoma; an aggressive form of paediatric cancer, with only a 40% chance of surviving the next 5 years. In 2017, he was a just normal 3 year old; finding his feet at nursery, making new friends, climbing on everything! One night, just before Christmas, he fell out of his cot and broke his arm. Just our luck, we thought. Not knowing what was to come. Over Christmas, he still seemed in a lot of pain, so we returned to A+E. An exploratory ultrasound revealed a tumour in his abdomen. Further investigation showed the cancer was in his skeleton and bone marrow. The broken arm had very much been 'a lucky break.' Without it, our first trip may well have been to PICU. 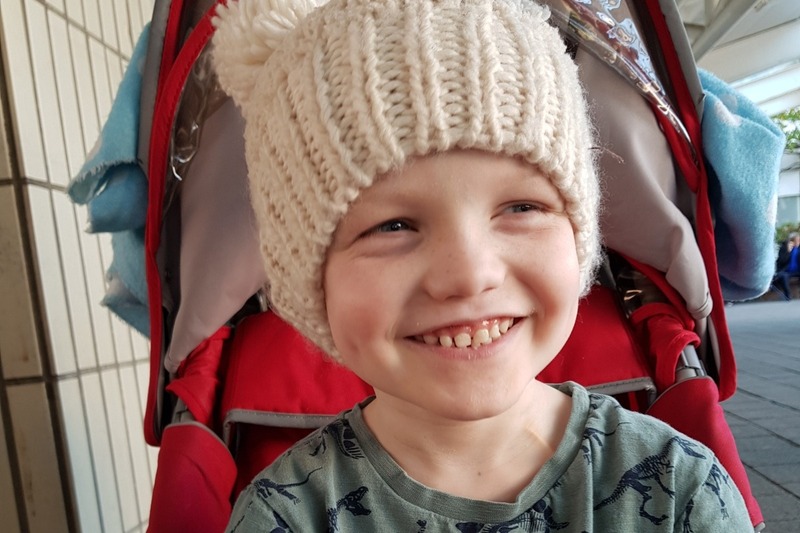 Seraph has been through so much; surgery, chemotherapy so strong it has damaged his hearing, a stem cell transplant (which had him in isolation for a month, and in hospital for 2). 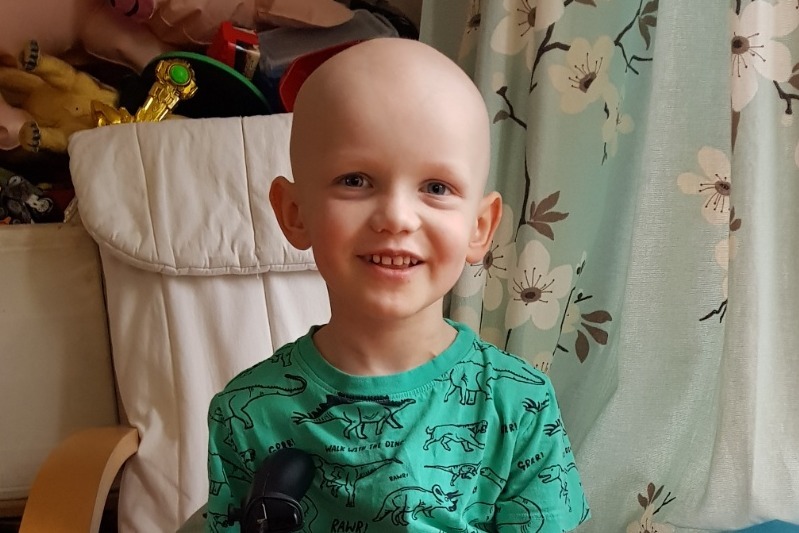 He was the first patient at Addenbrookes to undergo 5 weeks of radiotherapy for this disease, and he did each day without general anaesthetic (unusual for a child so young). Finally, we hope he'll finish Immunotherapy in June 2019. Although this is one of the most intensive protocols for any paediatric cancer (and all the NHS can currently offer) still about half of the children who make it through, relapse. Therefore we are fundraising for future treatment. Current possibilities cost in the hundreds of thousands of pounds, and are (just now) only offered abroad. Please share and donate to allow Seraph access to potentially life-saving treatment. *Should money raised not be needed by Seraph, this would be put towards helping other Neuroblastoma families, or for Neuroblastoma research. Seraph is well, and we continue in our hopes and efforts to get him the bivalent vaccine, at MSK, to ensure he stays so. We have now joined with the registered charity, 'Solving Kid's Cancer', which allows us to take Gift Aid. And do continue to share our story with those around you. We GREATLY appreciate your help and love. And send so much love back. Thank you. Thank you so much for all your support. Only a week into our appeal, and your kindness has been absolutely incredible. We're so sorry not to have been able to thank you all individually yet. We will get there! Please know though that you've already brought a rainbow to our storm. Please do keep sharing our campaign. We've got a long way to go yet. We are @TeamSuperSeraph on Facebook.